Matthew Macfadyen joins the ranks at Loud and Clear Voices! 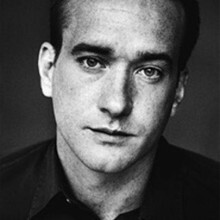 Loud and Clear Voices is over the moon to announce that Matthew Macfadyen has joined the agency for exclusive voice representation. Matthew is one of Britain’s most celebrated actors who you will know from his starring roles in film and TV with ‘Pride & Prejudice’, ‘Spooks’, ‘The Three Musketeers’ and more recently the thrilling ‘Ripper Street’ which are just a handful of his excellent credits. Matthew is also an experienced voice over artist with tons of leading commercial campaigns under his belt along with lending his wonderfully rich tones to some amazing documentaries over the years. Please join us in welcoming Matthew to the agency.